Blue or black ink ballpoint pen from the brand Prodir with frosted coloured barrel, curved clip and twist-action tip. 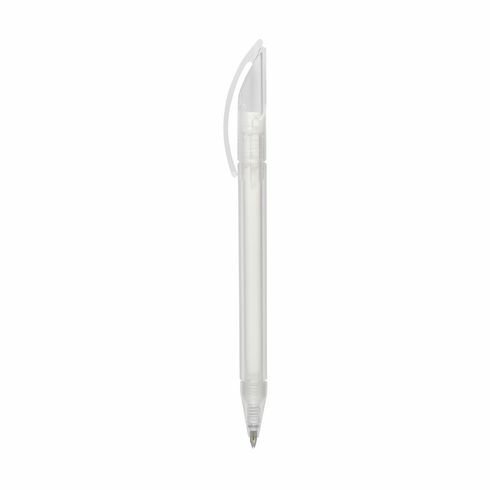 With Floating Ball® writing system: filled with quality ink to deliver a smooth and flowing writing action. This Swiss made pen guarantees high quality and a professional finish. Please state your preference when ordering.